This utility is helpful if you have posted an incorrect transaction or would like to copy a large transaction to use again. This tutorial walks you through reversing and copying a posted bank account transaction..
For a visual tutorial, see the Reverse/Copy Posted Transactions video. From the Bank Account Management menu, select Utilities -> Reverse/Copy Posted Transactions. 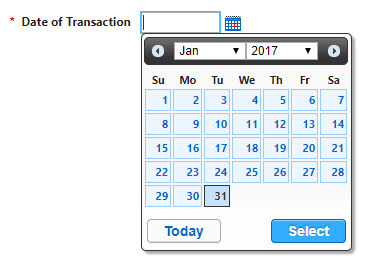 Choose the Date of Transaction to reverse/copy. Click the Copy Icon to copy the transaction to the Unposted Transactions page and then click the Yes button. Click the Reverse Icon to reverse the transaction to the Unposted Transactions page and then click the Yes button. 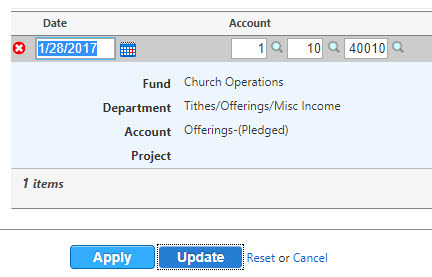 From the Bank Account Management menu, select Manage -> Unposted Transactions. Click the Edit Icon to edit the Copy and/or the Reverse transaction. Enter the correct date and then click the Update button. NOTE: Reverse Transactions automatically have a note added. Hover over the Note Icon to view the note. For additional information, visit the Financials Online Help.